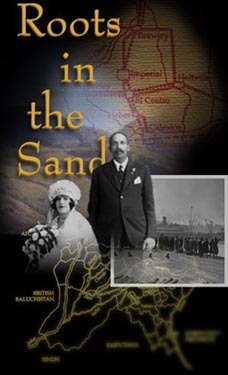 Jayasri Majumdar Hart's ROOTS IN THE SAND is a multi-generational portrait of pioneering Punjabi-Mexican families who settled, a century ago, in Southern California's Imperial Valley. Through the use of found footage, archival and family photographs, personal and public documents, Hart tells the touching and inspirational story of a community that grew out of a struggle for economic survival in the face of prejudice. This website supports and augments the history that is revealed in the film. By 1910, close to 5,000 men from Punjab found jobs in the American West. These men had journeyed across the ocean, not to settle in this country, but to earn money enough to return to their home country of India. However, poor wages and working conditions convinced them to pool their resources, lease land and grow their own crops. A number of the men settled in the Imperial Valley, just north of the Mexico border, where they used water from the Colorado River to irrigate the desert, a way of farming familiar to them from their homeland. As the men prospered, they wanted to marry and settle down, though immigration laws forbade importing brides from India. So the men turned to the Mexican women working in the fields who, much like the women back home, covered their heads and bodies from the blazing sun. Valentina Alvarez married Rullia Singh, Rosario Perez married Purn Singh and Silveria Jill married Phoman Singh. They were among the earliest couples in a cross-cultural wedding boom born out of necessity in the Imperial Valley. It is these resilient and innovative people and their stories that ROOTS IN THE SAND explores. The film goes on to document the Punjabi-Mexican families' resourcefulness in overcoming political and economic obstacles placed before them time and time again. The stories are told with affection and pride by children and grandchildren. This extraordinary documentary places early United States anti-immigration and anti-miscegenation laws in the context of the daily lives and legacies of people who were deeply affected by them. Explore these pages to delve deeper into these remarkable families' stories, to learn more about the political and social winds of the time, to meet filmmaker Jayasri Majumdar Hart, as well as to find other resources for exploring these issues further.